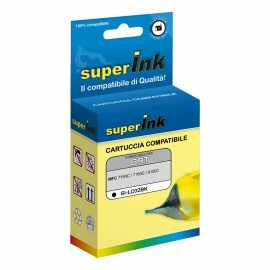 superInk is a reference brand in the production of printer cartridges compatible with Epson, Canon, HP, Samsung, Brother and almost all of the printer models on the market. At our online store you can find everything you want, recharging your device with quality products and a highly advantageous market price. The compatible inkjet cartridges signed superInk guarantee a performance comparable to the original cartridge but at a considerably lower price which will be delivered anywhere you want in just 2 business days. superInk develops refillable cartridges intuitive management and unquestionable quality, so you never run without ink for printing. Remanufactured cartridges proposals from our website are designed to make the simple task for anyone, as easy to understand by our section on Refill Instructions . Remanufactured cartridges for printers, however, are considered the optimum solution for combining print quality, saving and respect for the environment. Remanufactured, in fact, are cartridges reintroduced on the market following a thorough process of charging. The recovery cycle is totally run by superInk, a brand that has always been synonymous with quality and efficiency.